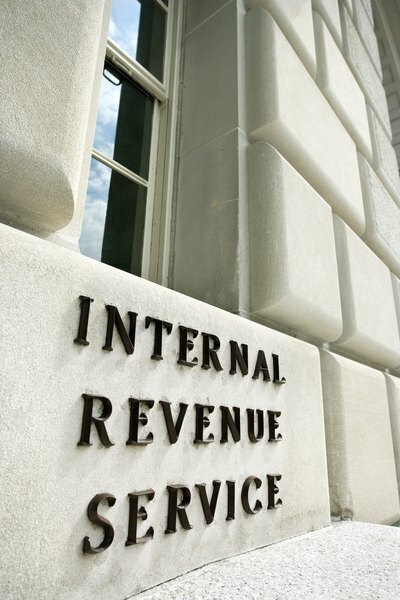 The IRS can impose criminal penalties in addition to the civil trust fund penalty. 1. Can I Have a Payroll Deduction for an IRA? Employers must withhold income tax, Social Security and Medicare taxes from their employees' paychecks. The money is held in trust until the employers pay it to the U.S. Treasury Department. Employees rely on their employers to remit those funds on time, which is why they are known as trust fund taxes. The Internal Revenue Service takes unpaid payroll taxes seriously and imposes substantial trust fund penalties. Employers can avoid these penalties by being aware of the trust fund deposit deadlines and making their deposits on time. Employers use Form 941, Employer’s Quarterly Federal Tax Return, to calculate the amount of their trust fund payment. Trust fund payments are made quarterly, and the cutoff dates are March 31, June 30, Sept. 30 and Dec. 30. The payments are due one month after each quarter ends. For example, the March 31 payment is due April 30. If an employer made the previous quarter’s payment on time, the IRS gives him an additional 10 days to pay the trust fund tax. Employers must make their trust fund deposits electronically. The IRS’ Electronic Federal Tax Payment System, or EFTPS, allows employers to make their quarterly deposits free of charge. Employers must first set up an account with EFTPS before they can use the system. If an employer does not want to use EFTPS, her tax professional, payroll service, financial institution or other third party can make the trust fund deposit electronically for a fee. Employers can wire the deposit to the IRS through their financial institution. If an employer does not withhold taxes from employees or fails to deposit them, the IRS can impose a trust fund recovery penalty that is equal to the full amount of the unpaid trust fund tax. This amount includes the employee’s federal tax, Social Security and Medicare taxes that should have been withheld and the employer’s matching contribution. The trust fund penalty is imposed on anyone the IRS considers responsible for collecting or paying the taxes, including corporate officers, partners or a sole proprietor. Responsible people can be criminally charged for failing to comply with the IRS’ deposit requirements for trust fund accounts. Employers have 60 days to appeal the trust fund penalty by filing Form 843, Claim for Refund and Request for Abatement. Employers can appeal the trust fund penalty if they have written proof that that the information they relied on provided by an IRS officer or employee was incorrect. An employer must have paid the trust fund taxes and penalty before he can file Form 843.